For bloggers who own their domain, it is a nice touch to have an email address which ends in your domain name. You can always continue using the email address you are comfortable with, but I think having one such as [email protected] makes you look professional. It's actually not that difficult to do, and here I am sharing three ways you can get it for free. Gmail used to offer a free email service for website owners. so it was a no-brainer. But since they made the service paid, we have the need to look at other alternatives. Now, many hosting companies provide email services but they are not very easy to set up, and come with certain limitations. The easier way out is to use these service providers which provide a friendly interface for your email. 1. Go to Custom Domains page on Windows Live Admin Center. 2. Enter your domain name and choose the first option, to create an Outlook mail account. 3. Choose an Admin for your domain. You can create a new outlook.com email address (this will be different from the custom email, and will end in outlook.com) or log in from an existing hotmail, Windows Live or Outlook email account. 4. You will be asked to verify your domain by adding an MX or TXT record to your DNS record. If you have set up your domain yourself, you should be familiar with this, or you can see the Help section of your hosting service. It's fairly easy to do. Setting up the MX record is preferred and that's how I verified my domain. 5. Go to your dashboard on Windows Live Admin Center to check if it has been verified. This can take up to 48 hours, but usually happens faster. 6. 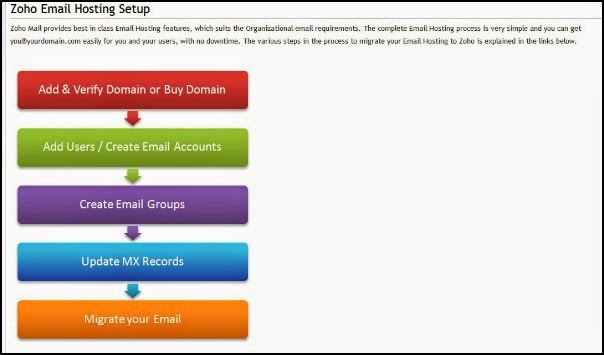 Create your custom email address by 'Adding an account' under your verified domain on your Windows Live dashboard. Your account will have unlimited storage. If you find it difficult to check two inboxes like I do, you can simply set up email forwarding to the email address you use more often. Just be sure to log in to your custom email inbox once in a while to check the 'Junk' folder. Sometimes, valid emails end up there and will not be forwarded to your other inbox. I have read good reviews for Zoho Mail Suite. They offer premium services as well, but you can get a free custom email address with 5 GB storage. The procedure for setting this up is the same as Outlook, and you will have to verify your domain name. If the above options have you flustered, don't worry! Wordpress has a service which lets you create a 'vanity email address', which means that you can get a custom email address and have it forward to your existing inbox directly. There's no need for domain verification. You can find this under the Email option under Edit Domain. Details can be found on this Wordpress blog post. 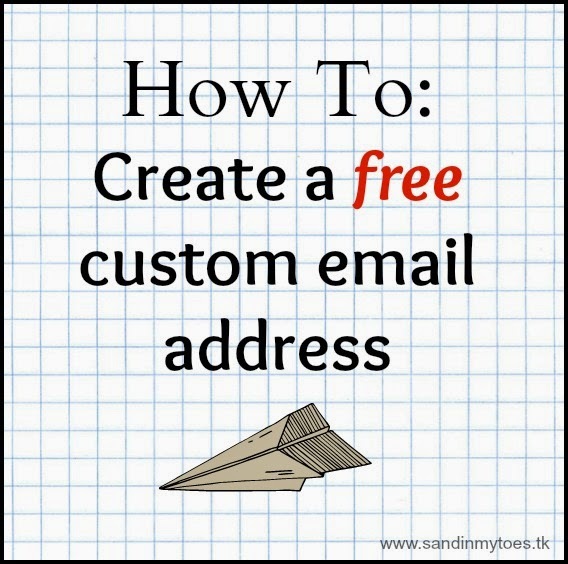 Good luck with setting up your custom email address, and let me know if you have any questions! I use the Wordpress email forwarding option which sends all mail to my personal Gmail account. Seems to work out ok! This is a great post, I've been looking for other options since I realised that gmail now charges. I'll have to come back and follow your instructions when I get a minute! My hosting company provides an email services but I am having such a hard time setting up. I can receive emails but not send out. Will this work with an existing email address that I already set up with my hosting company? That's the easiest way to make it work! Glad to be of help, Kerry! You'll have to create a new one with Outlook or Zoho, which will allow you to send out emails as well. The hosting company probably provides you with email forwarding so maybe you should disable that once you set this up. I use GoDaddy and I'm pretty sure I could set it up through them. I just never thought about it since I set up my gmail before I started blogging and just thought it would be one less thing to worry about. I think you might be right about the professionalism though. I'm looking into that today! Thanks! Wow! Didn't know about this! Pinning it for future reference!